Rene´ Ablaze’s civil name is Rene´Bos and he was born in the Netherlands in the area of Enschede. Music was one of his first interests and so he started his career already in 1986 in little Clubs and Discotheques. His predilection have been vinyl records ever since. After years of gathering experience with almost every style of music he made his decision for Trance & Progressive and focused on that quite early. That is the Sound he found for himself and which he likes very much. People in the little Clubs those days often were astonished about the Trance sound he performed, cause it created unknown impressions. In that time his popularity grew due to his variety of never being tedious arrangements.However, he always pays heed to requests from his audience and never adheres to a single program. Based on his interesting and perfectly mixed sets he always managed to engage the party guests in wild partying, without consideration for the daytime. 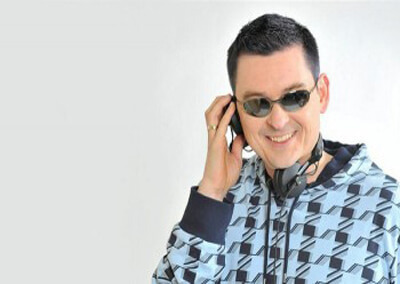 In a discotheque near the town Dülmen in Germany, formerly know as “Fantasy”, he excited the masses as the Resident DJ at the legendary “Innovation Raves” and after that he was a Resident at the Legendary Hexenhouse Party´s in the town Bocholt near the Boarder to the Netherlands. Now a days he is playing all over the world at different lokations and partys. In the following years he concentrated on getting contacts and producing music. After going through a lean period he published his first single-record under the label “Up-Beat” in 1996. Based on Acid was very successful in Germany as well as in other countries, and was the starting point for many following tracks, which then have been published by Rene´Ablaze using synonyms and different labels. 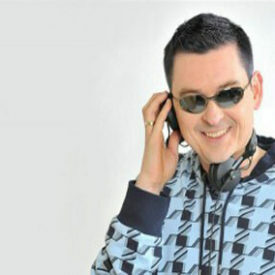 Undoubtedly one of his biggest successes are the tracks Back on Plastique – X-it-Records – which entered the DDC charts, and the hit song with the twittering birds, Balearic Desire – Combined Forces, Netherlands – which reached an excellent position in the dutch Dancecharts and played by DJ´s like Armin van Buuren, Tiesto and many others. Beside working for his own company ABLAZE PRODUCTIONS, which among other things deals with mediation of artists and music productions, Rene also founded the record company “Redux Recordings” That is growing to a very populair Trance Label. Overall Rene´Ablaze can be denominated as a professional DJ and Producer who took his passion as his profession. The record Methamophoric signed again by Spinnin Records and will be released soon. Of course this track will be released on Rene’s own label Redux in November 2009. Also Rene remixed the big hit from the 90’s Joe Smooth’s Promised Land and will be released by High Fashion The Netherlands and is signed to the UK.